Sleek, contemporary styling with 20% more top-shelf capacity is ideal for front or back of house applications. Durable 100 lb. 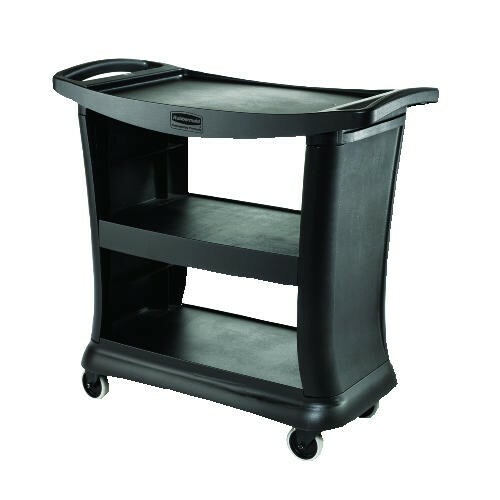 capacity per shelf construction with wrap-around end panels and solid base bumper. Smooth surface is easier to clean and maintain. Simple to assemble with easy snap-and-lock construction. Color(s): Black; Width: 20.33 in; Depth: 38.90 in; Height: N/A. Assembly Required.